There has been a lot of interest in carbohydrates (carbs) in recent years. From scientists and medical professionals examining the possible link between types of carbs and cancer, to overweight individuals attempting to lose weight with implementation of a low-carb diet. But what exactly is a carbohydrate? Which foods are they found in, and how do we know how to select the “good” carbs? Understanding carbs has become ever more important. Let’s try to understand this interesting macronutrient! Carbohydrates are a macronutrient. The three main macronutrients are proteins, fats, and carbs. These are called macronutrients because they are required by our bodies in large quantities (as opposed to micronutrients such as vitamins and minerals which we only require trace amounts of). 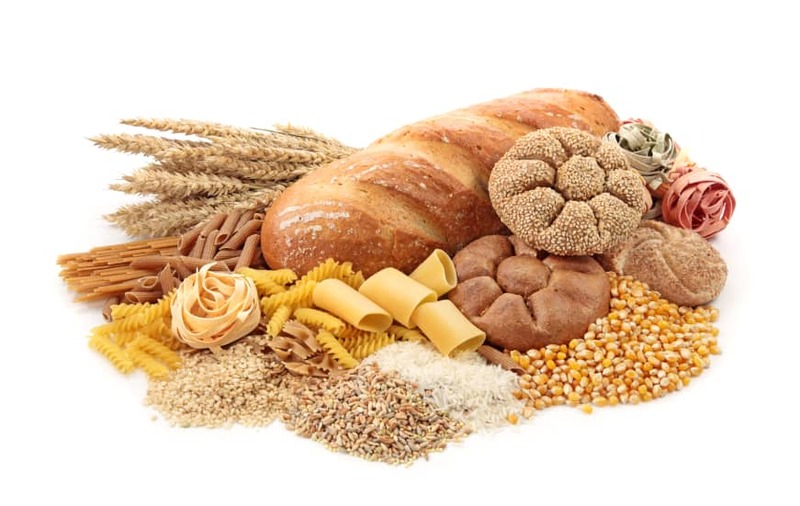 What are simple and complex carbohydrates? Carbs are classified as either simple or complex. Simple carbs are either a single sugar molecule or two bound sugar molecules. Complex carbs are fiber, starch, glycogen, or cellulose. Simple carbs are monosaccharides (one sugar molecule) or disaccharides (two sugar molecules). Fructose is found naturally in fruit. It is also processed and added in large quantities (i.e., high fructose corn syrup) in food items such as soda, some breads, candy, and even ketchup. Lactose is found in dairy products as it is a naturally occurring sugar in cow’s milk. Many people have low levels of lactase. This is the enzyme needed to break down lactose. Without adequate levels of lactase, lactose cannot be digested and will cause gastrointestinal upset. Fiber and starch are two types of complex carbs. Glycogen is a complex carb but we do not get glycogen from our food. Glycogen is the principle storage form of glucose produced by our bodies. Glycogen is a large molecule comprised of many glucose molecules. It is stored in the muscles, liver and glial cells (brain). It is used for energy when glucose is needed but not readily available from ingested food. Cellulose is a component of plants which humans cannot digest. Starch is a carbohydrate that is comprised of a lot of individual glucose molecules. So starch is sugar (glucose). Starch is broken down to individual glucose molecules during digestion. Which carbs should we eat? Complex carbs must be broken down upon digestion due to their large size and chemical structure. This process takes time, and therefore complex carbs take longer to digest than simple carbs. This results in a slower release of sugar (glucose) and provides more stable energy levels. Simple carbs provide rapid but instable energy levels because they do not need to break down. Furthermore, simple carbs produce a rapid insulin spike and drop which results in hunger and cravings shortly after digestion. So simple carbs leave you craving more food soon after eating. Complex carbs do not. Complex carbs leave you feeling fuller longer. Choose complex carb-containing foods. But the key is fiber. Foods comprised of both complex carbs and fiber should be consumed. Choose vegetables, oatmeal, whole grain breads, legumes, peas, and beans. But limit foods such as potatoes and corn. Although they are complex carbs, they do not contain much fiber. Fruit, although a simple carb, is an excellent food choice because of its fiber and nutrient content.